All of us, when we were kids – except if our parents were dentists – loved sweets. It was one of life’s simple pleasures; tearing the wrapping off a little cube of sweetness, popping it into one’s mouth, then running around like a thing possessed whilst fuelled by the sugar rush. Sweets are one of those things, like scabby knees and watching cartoons without feeling guilty that we tend to discard once we reached adulthood. We can still eat chocolate of course, but sometimes we crave the unique heightened sweet-i-tude of sweeties. You can still buy sweets in retails outlets, of course. A few of the major supermarkets have pick-n-mix stalls, as probably does one of your local newsagents, but it can be a little embarrassing when you’re caught fighting with a six-year-old for the last cola bottle. As ever, the internet comes to the rescue. 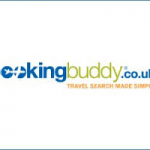 It is the home for dozens of online retailers of your favourite sweet goodies. You can bulk order for cheapness, and many of your favourite retro-items will be surprisingly available. The only downside is you can’t sneak a sweet at the pick-n-mix when you think no one’s looking as you could at Woolworths. Heavens to Betsy! 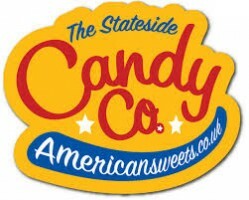 It turns out that the most popular online retailer for sweets in the UK sells American sweets, or candy as we all by now know to call it. Naturally, quite a few of us have visited the shores of what was once our territory, and have experienced the delights and variety of US sweeties. Here you can indulge yourself in Hersey Bars, Milk Duds and of course, the blissful choco-nut heaven of Reese’s Peanut Butter Cups. This site doesn’t just stop at candy – you can purchase enough US groceries to fill your fridge three times over if you desire. Those of us of sufficient age will remember the days before the metric system was forced down our throats. 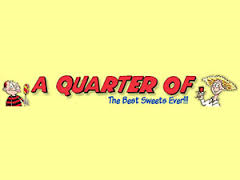 Of course, it didn’t take much for a sweet to be forced down our throats, and “a quarter of (a pound)” was the standard measure for a paper bag full of sweetie heaven. This shop specialises in retro sweets such as Dip Dabs, Sherbert Fountains and Love Hearts. You can also buy gift boxes for your friends and loved ones which are filled with enough sweets to decay your molars down to the nerve. Another site that specialises in American sweets, this site offers you a great selection of shopping options. You can shop by brand, category, country or by “Pop Culture”. This last option gives the chance to purchase items inspired by TV and Games – you can buy Angry Birds soda, Star Wars Death Star mints or even Pac-Man Ghost sours. 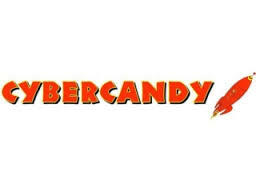 Cyber Candy also offers a range of US sodas, so if you’ve been to the States and miss your Creme Soda or Root Beer then via a quick flick of your credit card will alleviate your taste-buds’ deprivation. The old-fashioned sweet shop used to house its jars on shelves behind the counter. As a fresh-faced youngster you could smile sweetly at the proprietor and ask for a quarter of Parma Violets, then reach and nick a Mars Bar whilst their back was turned. Filching from an online store is a tad more difficult. Here, all your favourites are available, with the expected options of retro sweets, sweet hampers and gift boxes. The humble gobstopper was of course a sweet so huge that once purchased, you had to employ a couple of your mates to prise your jaws apart so you could actually get the thing into your mouth. This site is another with enough sweetie options to give your orthodontist a coronary. There’s even an online pick-n-mix – cunningly re-branded click-n-mix – option. Prices start at £9.99 for a generous selection, and the site offers free delivery on all orders over £20. Yet another retail site riding on the wave of candy nostalgia, this colourful site promises to help you relive your sweet memories from the 60s, 70s and 80s. If you’re a little OCD you can even shop by colour. If you really want to shop in the past you can also purchase a range of retro-toys, such as spud guns and yo-yos. Despite the suspicious use of the word ‘candy’ this site is definitely one with a stout UK theme, and of course promises to help you relive your childhood memories, which is great unless your childhood was terrible. The site has some bargain prices and promises speedy delivery. According to their website, “the best sweet shop on the planet”, although their delivery prices are not as appealing as others on this list, and you have to purchase a whopping £50 to get delivery for free. Uniquely, this site offers a selection of Indian sweets, so if you fancy giving Coffy Brites, Mango Moods or Hajmola Kachha Aams a go, this is the site for you. If you ever watched an episode of The Simpsons or Family Guy, you will know it’s a standing American joke that all Brits have terrible teeth. The massive range of items available from this site offers an explanation as to perhaps why. You can buy jars of sweets, tubs of sweets and even bulk bags of sweets. Regular customers can also buy loyalty points, which hopefully can be spent on dentists bills. “The Waterboy” was a film made in the days when Adam Sandler could still raise the occasional titter. Happily, “The Sugar Boy” is not a follow-up, and this web-site is Sandler-free. The usual wares are on offer, and The Sugar Boy will even offer to cater a sweet-themed wedding for you.